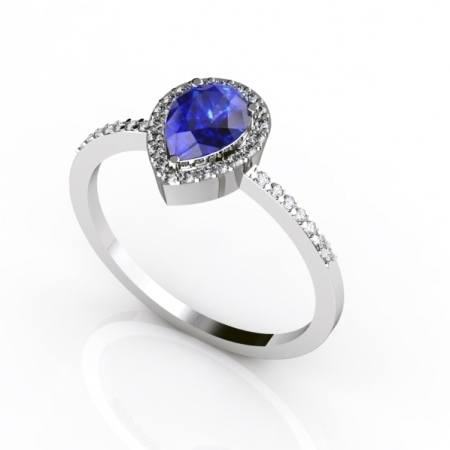 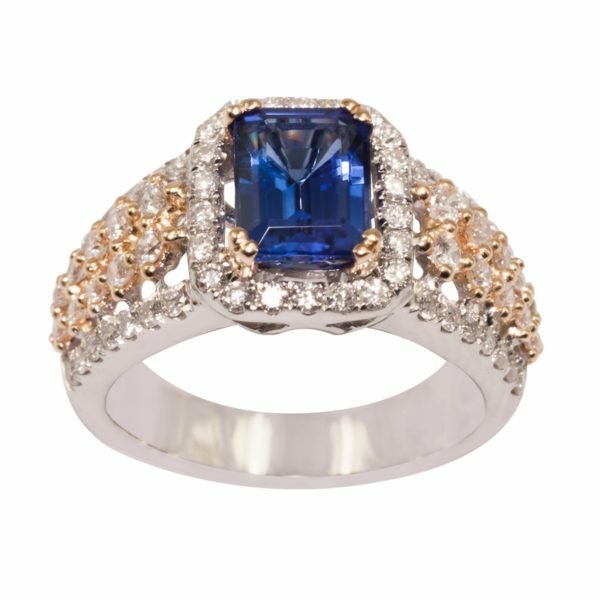 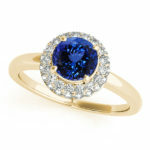 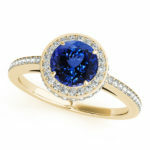 This vintage tanzanite ring is designed in 14k yellow gold with a regal allure and sophistication. 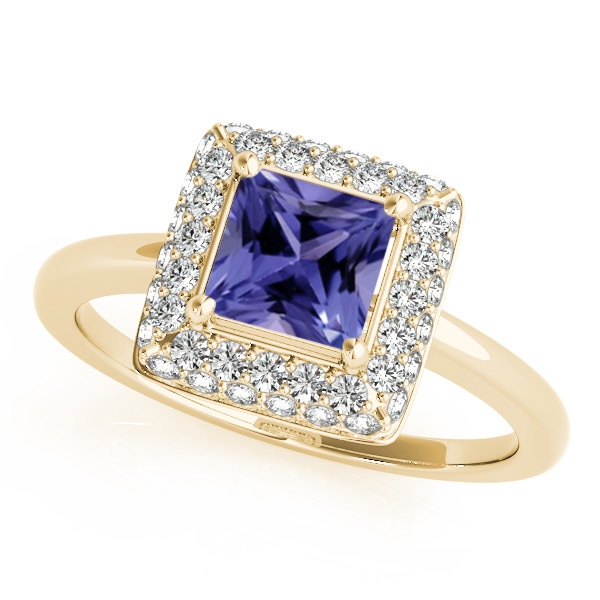 The princess cut tanzanite is bezel set in the center and glows amazingly amid the glittering diamond frame. 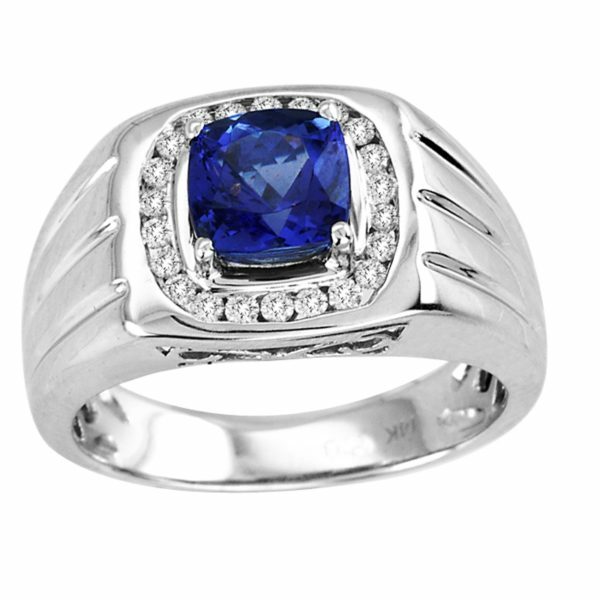 For added luxury, the split shank is also adorned with glimmering diamonds.